Rob Petty is Co-Founder of the Clearwater Funds and Co-CEO and Co-CIO of Fiera Capital (Asia). Since founding the Clearwater Funds in 2001, Rob and his partner Amit Gupta have invested profitably across cycles, sectors and geographies, building an Asia-focused business that is one of the largest credit investing firms in the region today. Over his career, Rob has focused on Asia-dedicated credit investments, with broad expertise in direct lending, secondary credit and special situations strategies. Rob’s principal responsibilities at Clearwater encompass portfolio management, origination and overall management of the Firm. Prior to founding Clearwater, Rob worked as a capital committer in Asian credit for fifteen years at Lehman Brothers and Peregrine Fixed income, before moving to the investment side of the business working for Marc Lasry at Amroc Investments for three years. 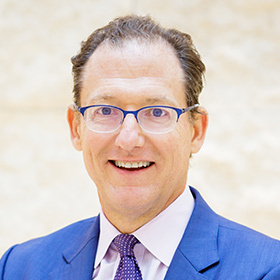 Rob sits on the Board of three Clearwater portfolio companies and also serves as Chair of the Boards of two non-profit organizations, The Emerging Markets Private Equity Association (EMPEA) and EngenderHealth. Rob holds a bachelor of arts degree in Political Science from Brown University and is based in Hong Kong with his wife and they have three adult children.